Testing is an integral part of software development and we have long been relied on manual testing by testers and QA professional to ship quality software and find bugs, but that's not sustainable anymore. There is an increased focus on automation testing nowadays and Selenium is leading the way with its web drivers. If you don't know what is selenium, it's a free automation testing tool for web applications. It can work with different web browsers like Chrome, Firefox, Internet Explorer, Opera and simulate human-like behavior. By using Selenium you can programmatically interact with all the different elements in a webpage. You can click on them, input text, extract text and so much more. Selenium is also completely different from other QA automation tools like QTP, Win Runner, Load Runner etc, which allows you to record and replay for automation testing. Selenium provides an API which allows you to automate everything on a web page. You can check whether an element exists or not or what value an element has. Selenium allows you to test any kind of website written in any language like PHP, Perl, Python, Java, C# etc. It also supports multiple browsers e.g. 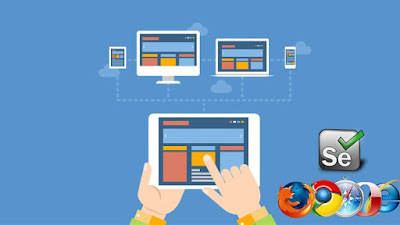 Chrome, Firefox, Internet Explorer, Safari and Opera, which means you can not only test your application in multiple browsers automatically. Selenium allows you to write automated test on any language as well e.g. Java, C#, Perl, Python etc but 90% of companies use Selenium with Java, which means manual testers who are willing to learn Selenium for automation testing should also learn Java. Though you only need to know core Java basics, you don't need to be a Java expert to write selenium tests. Though, if you think that your Java skill is not par, you can also check The Complete Java Masterclass course on Udemy. It's a great course but it's not free but it's not very expensive either. I have bought just $10 last year, which is the cost of one lunch nowadays. In this article, I am going to share some of the free online courses you can take to learn Selenium webdriver with Java and C#. You don't need to learn both the language but you can choose the language on which are you are comfortable. For example, if you are a Java developer who wants to learn automation testing for your project, you can take the course which teaches Selenium webdriver with Java. Similarly, if you are GUI developer who writes GUI in C# then you can take courses which teaches Selenium with C# for automated testing. These are mainly beginner courses which will explain to you what is Selenium, how it works and what benefits it provides to developers. Some of the courses are also advanced though, which teach some advanced topics e.g. parallel test execution with Selenium. Without any further ado, here is my list of free Selenium courses for Java and C# developers. This is a short and simple course to get started with Selenium automation and learn the basics of other integrated testing libraries e.g. JUnit, TestNG etc. In this course, you will first learn Java basics required to write automated test using Selenium and then the author goes on to explain key concepts of Selenium e.g. 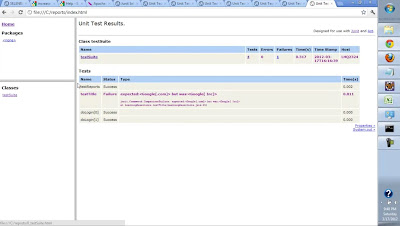 what is selenium, how it is different from QTP and other QA automation tools and how you can test GUI using Selenium web driver. The course also touches database testing, Selenium Grid, Selenium 2.0 webdriver, and Appium installation. In short, a good start point for complete beginners in automation context. This is another free course in Selenium which explains some Selenium concepts in Java and C# with short examples. Most of the topics are derived from questions asked in StackOverflow but I found the course good enough to learn something valuable and most importantly its free. You will learn things like how to work with different browsers with Selenium Java web driver, how to find and work with controls, using explicit and implicit wait, taking a screenshot with selenium and checking if control exists with selenium. You will also learn how to drag and drop with selenium, how to mouse hover and click using selenium and working with popup window and XPath. The course also explains how to configure Selenium grid and set up parallel execution using Java. Overall a good hands-on course to learn Selenium with both Java and C#. 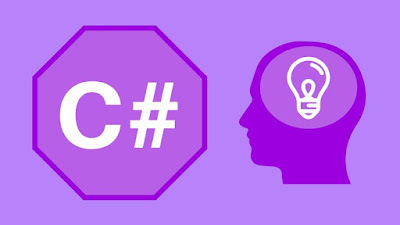 Though the course is more focused on Java than C#. This is another free Selenium course on Udemy from the same author Karthik KK which created the previous course. In this course, he explains Cucumber and Behavior-driven Development along with Selenium, but in much greater details. The course is divided into two sections, in the first part, you will learn the Cucumber from scratch, along with the basics of BDD or Behavioral Driven development. The second section focuses on Selenium with Cucumber, where you will learn how to write a simple code for Selenium with Cucumber and learn how to interact with the Page Object Model. You will also learn how to run Selenium with Cucumber via Maven and running cucumber test with TestNG. The course also touches based on reporting in Cucumber for Selenium. Overall a good course to learn bot Cucumber and Selenium in quick time. This is another free selenium which focuses on a live demo and hands-on practice. It's a nice course for manual testers, QA interns and QA professional with no Selenium experience. In this course you will learn Graphic User Interface and Functionality Testing and how to work with the various selectors that Selenium offers like Name selector, ID Selector, Class Name selector, CSS Path selector, and XPath selector. We will also have a few theory lectures in which I will explain when you should use either of these selectors, how to inspect elements and what is an Automation Testing Framework and why do we need to learn how to create one. 5. 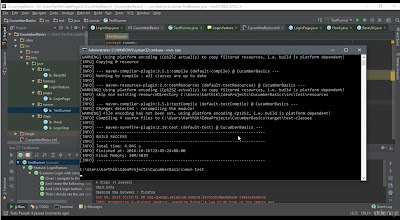 Cucumber, Selenium & Java -Develop a Framework in 2.5 Hours! Are you an automation tester who wants to add Behaviour Driven Development (BDD) or Cucumber to your Resume? Or, someone who has often heard of the phrases Cucumber or BDD but has the slightest idea what they are and what problem they solve, then this is the right course for you. In this course, you will learn Cucumber BDD from a beginner’s level all the way to a fairly advanced level using Selenium WebDriver and Java. If you work with the course you can also learn how to develop a small robust Cucumber Framework(s) for BDD. The course will also teach you Gherkin, Maven, Eclipse and other related tools you need to work with Selenium and Cucumber and become a successful automation QA engineer. This is one of the advanced level course on Selenium WebDriver. It is designed to take your software testing skills to next level by teaching you how to make your automation test faster and robust. The course will also teach you debugging and analyzing automated test failures. Btw, it covers just enough options to help you run your tests in parallel without overwhelming you with a bunch of minute details. 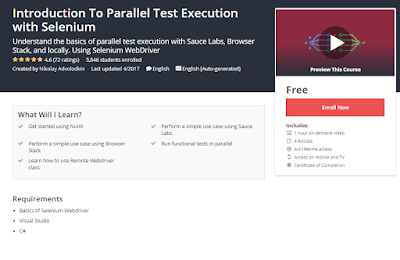 In this course, you will not only learn to run Selenium Webdriver tests in parallel on your machine but also on Browsers Stack's and Sauch Lab's cloud. You will also learn how to configure and use the RemoteWebdriver class and understand the benefits of running your test in parallel and in the cloud. This is another advanced level free course on Selenium which teaches you how to correctly use implicit and explicit waits on Selenium Webdriver. If your automated functional tests randomly fail and you are unsure why? and your team is frustrated with the "instability" of your Selenium Webdriver tests and you want to fix these problems and make your test more stable then this is the right course for you. In this course, you will learn more about the problems that can occur as a result of improper synchronization, how to use Selenium Webdriver explicit waits and how to master them. You will also learn how to use all of the different types of waits during appropriate situations. That's all about some of the free courses to learn Selenium Web Driver with Java or C# for automation testing. If you are manual testers, a QA engineer, or a Java developer, there is a lot of value in learning automated testing. If you are thinking about what to learn in 2019 then automation testing with Selenium is a good option. This will not only make you a better QA or developer but also give your career a boost. Thanks for reading this article so far. If you like these free Selenium Webdriver courses then please share with your friends and colleagues. If you have any questions or feedback then please drop a note. P.S. - If you don't mind paying $10 for a good course then the Selenium WebDriver with Java -Basics to Advanced+ Frameworks is the best course to learn Selenium with Java in 2019.